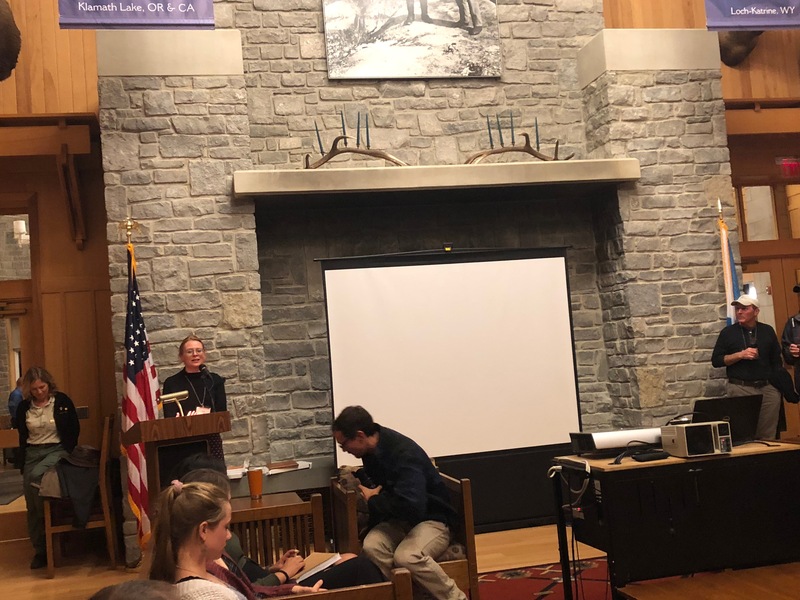 Jenny McGarvey, the Alliance’s Chesapeake Forests Program Manager, introduces Jennifer Gagnon, who was not able to join us at the award ceremony. 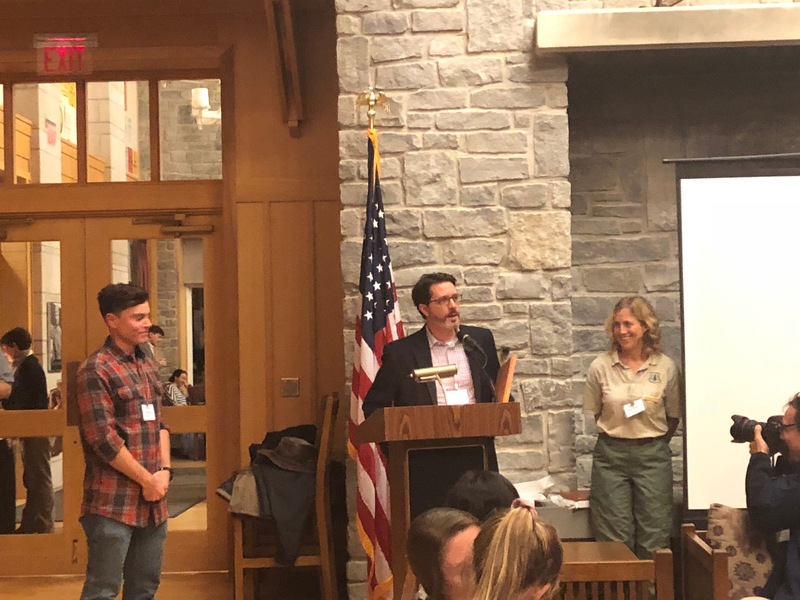 The commitments of these award winners to the critical forest habitats of the Chesapeake region serve as inspirational examples of the local action, whether through individual stewardship or collaborative efforts, necessary to ensure the restoration of the watershed’s vital resources. 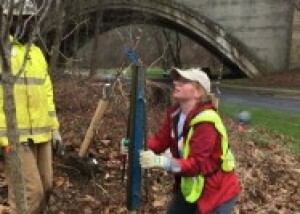 “Forests remain the most beneficial land use for improving and maintaining the quality of our streams, rivers, and the Chesapeake Bay while also providing a host of essential public services we rely on everyday”, stated Craig Highfield, Director of the Alliance’s Chesapeake Forests program. Matt Keefer accepts his award from Ryan Davis, Alliance Chesapeake Forests Program Manager. Matt Keefer is the Assistant State Forester for Pennsylvania’s DCNR Bureau of Forestry where he oversees Community and Private Forest Stewardship. Matt was instrumental in the development of DCNR’s new, state-funded buffer grant program, and through his leadership, DCNR is exploring new incentives for buffer adoption, including the multi-functional concept focused on providing additional value to landowners. Matt also spearheaded the formation of a statewide Riparian Buffer Advisory Committee, which provides a quarterly networking forum for the buffer community. Rick and Kathy Abend accept their award from Craig Highfield, the Alliance’s Director of Chesapeake Forests Programs. Jennifer Gagnon is Virginia Tech Extension Faculty and Coordinator of the Virginia Forest Landowner Education Program (VFLEP). In her role as the coordinator of VFLEP, Jennifer develops, delivers, and evaluates research based educational programs and materials for over 405,000 private forest landowners in Virginia impacting 10.6 million acres of land in the Commonwealth. 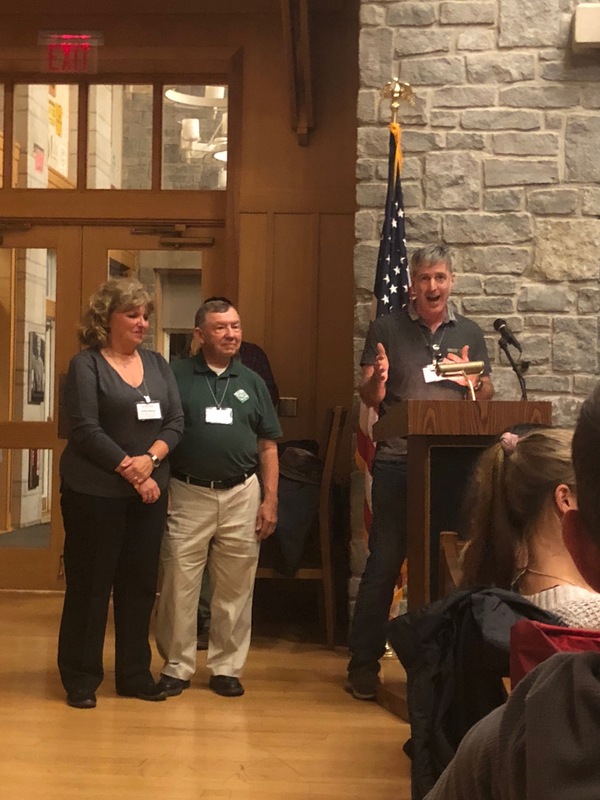 Rick and Kathy Abend were honored as “Exemplary Forest Stewards” for their work on their 46-acre woodland in Dorchester County, Maryland, which has been a part of the American Tree Farm System since 1989. In 2014, Rick and Kathy were named Maryland Tree Farmers of the Year. They turned a piece of cut-over woodland into a premier demonstration area where hundreds of visitors have seen forest management practices at their best.